In 1853, bursting with emotion, Charles Baudelaire confessed to his muse Madame Sabatier: “Sometimes, I can find relief only in composing verses for you.” Is there any better way of expressing feelings of passion and longing than with poetry? The French have excelled at this, resulting in a rich tradition of love poetry: theirs is the language of love. 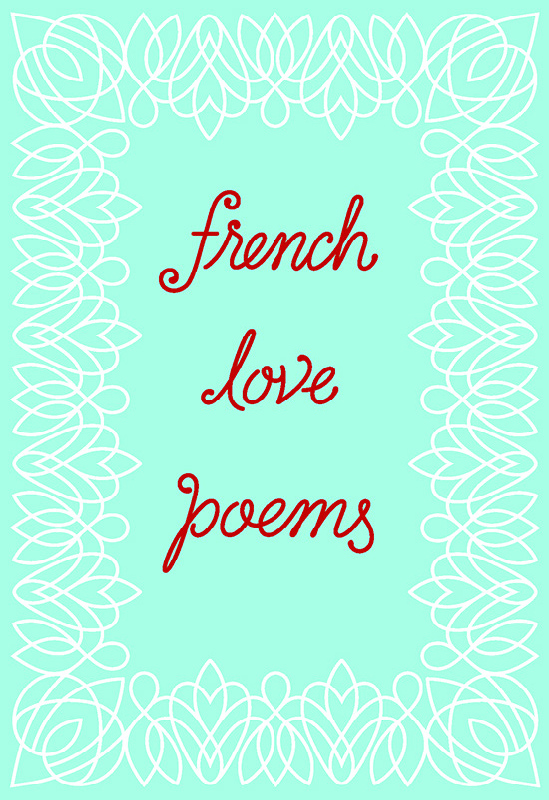 Filled with devotion and lust, sensuality and eroticism, fever and overture, these poems showcase some of the most passionate verses in the French language. From the classic sixteenth-century love sonnets of Louise Labé, to the piercing lyricism of the Romantics, to the dreamlike compositions of the love-drunk Surrealists, French Love Poems is the perfect, seductive gift for the one who makes your heart flutter. As the sea sending its waves to the warm beach. With poems by Guillaume Apollinaire, Charles Baudelaire, André Breton, Claude Cahun, René Char, Andrée Chedid, Charles Cros, Robert Desnos, Marceline Desbordes-Valmore, Paul Éluard, Francis Jammes, Jean Joubert, Louise Labé, James Laughlin, Stéphane Mallarmé, Joyce Mansour, Anna de Noailles, Catherine Pozzi, Jacques Prévert, Arthur Rimbaud, Maurice Scève, Paul Valéry, Paul Verlaine, and Renée Vivien. Edited by Tynan Kogane.